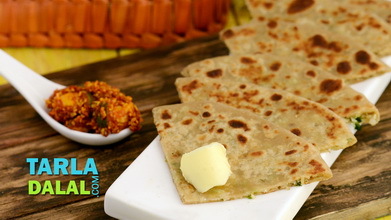 Laccha Paratha is one of the most popular parathas in North India, and the reason in evident as soon as you set sight on it! 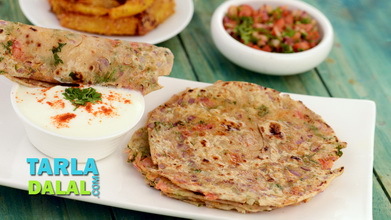 This layered paratha is quite appetising to look at, and even more interesting to bite into, because the layers separated by ghee give a crumbly, melt-in-the-mouth texture. 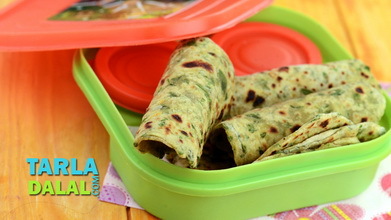 The secret of making perfect Laccha Parathas lies in rolling them the right way. Although it might initially seem difficult, it becomes quite easy once you’ve made one or two of them. So, out with the rolling pins. 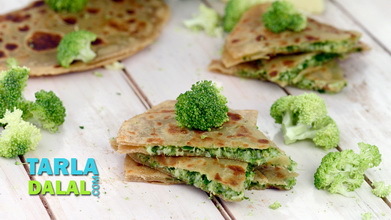 Let’s try our hand at this mouth-watering layered paratha. Combine the whole wheat flour, 2 tbsp ghee and salt in a deep bowl, mix well and knead into a soft dough using enough lukewarm water. Roll a portion of the dough into a 200 mm. (8”) diameter circle using a little whole wheat flour for rolling. Spread 1 tsp of ghee evenly over it. 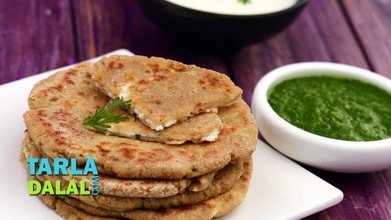 Sprinkle a little whole wheat flour evenly over it and spread it lightly. Fold from one end to the other to make pleats like a fan, while gently pressing them in between. Turnover the swiss roll so that the sealed side faces upwards and again gently roll into a 150 mm. (6”) diameter circle using a little whole wheat flour for rolling. 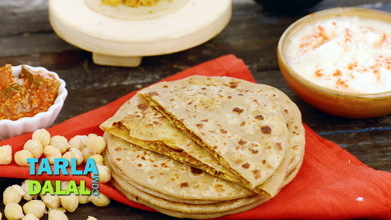 Heat a non-stick tava (griddle) and cook the paratha, using 1 tsp of ghee, till golden brown spots appear on both the sides. 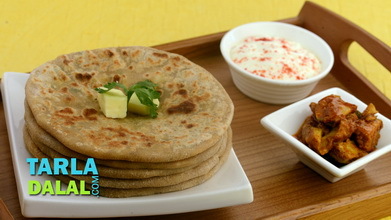 Remove on a plate and press it gently from the sides towards the centre to make the layers more visible in the paratha. 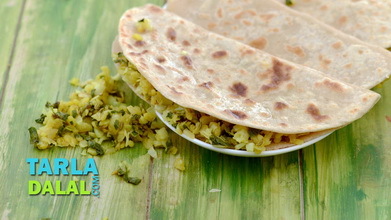 Repeat steps 3 to 10 to make 6 more parathas. 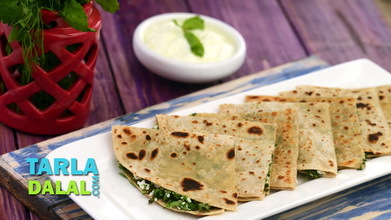 Serve the hot lachha paratha immediately with some chilled curds.